Visitors come to Hurricane for fast access to Zion National Park, as well as to experience many popular area attractions such as the Hurricane Valley Heritage Park Museum. Hurricane is located approximately 22 miles south west of the park. Hurricane is located approximately 22 miles away from Zion National Park. Great place to stay if you want fast access to the park with a full range of amenities. 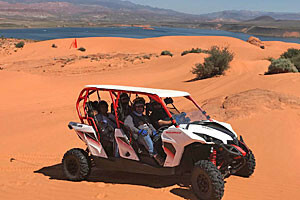 Popular area attractions include the Hurricane Valley Heritage Park Museum and the St. George Art Museum. 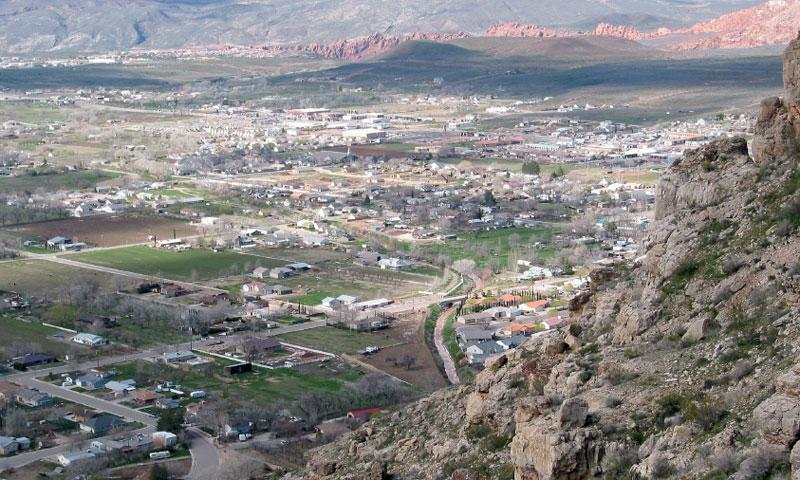 A community of approximately 9,000 full time residents, Hurricane along with the greater St. George area is largest metropolitan area in close proximity to Zion National Park. The city is set against a backdrop of dramatic red rock formations and towering snow capped mountains. Hurricane is located between St. George and Zion National Park off UT-9 in southwestern Utah. Though Hurricane’s population is relatively small, the city’s proximity to Zion and St. George ensure there are a full range of services and amenities, include many choices for lodging and dining. Hurricane is located approximately 22 miles way from Zion National Park, which means fast access to all the parks outdoor adventures including hiking, biking, camping, and horseback riding. The Zion National Park Human History Museum: Home to many interesting exhibits detailing the parks human and geological history. The Sears Art Gallery: The Sears Art Gallery, located at Dixie State College is home to many rotating exhibits featuring the best of professional, faculty, alumni and student artists. From Zion, take UT – 9 straight into town. Along the way make sure to enjoy the beautiful southwest scenery, including magnificent red rocks and towering mountains. The city of Hurricane is located in Washington County and home to about 8,200 people. Hurricane Utah .org provides information on the surrounding communities of Zion, St. George about history, events and activities.